Cats need regular veterinary care to stay healthy throughout their life. From flea prevention and first shots to spay or neuter and dental care, when you get a new kitten, it’s important that you consult an experienced cat veterinarian. 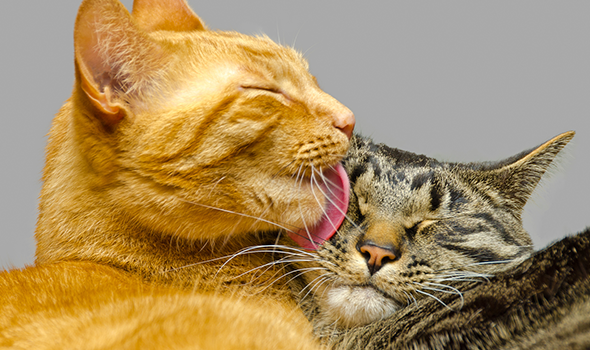 Here’s a guide to what veterinary services are needed for cats and how our caring and the friendly animal hospital can help you keep your cat healthy and well. The First Visit & Immunizations – When your kitten is between 6 and 8 weeks of age, they’ll need to see a vet for the first time. At this time, your vet will examine them to make sure they are healthy, and will also recommend that a series of vaccinations be done. Your kitten may be wormed and you will receive information about how to give your cat proper nutrition and care. Between 4 and 6 Months – At this time, your kitten will begin losing their baby teeth and getting their adult teeth. Your cat vet will want to examine your pet’s mouth for any broken or loose teeth, soreness, or inflamed or discolored gums. Your cat’s doctor will also go over with you how often your cat should receive regular dental care. At 6 Months – Your cat is ready to be spayed or neutered once they reach the age of 6 months. For most cats, sterilization is highly recommended. Male cats are unlikely to “spray” after being neutered, and female cats will not go into heat after they have had surgery. Regular Checkups Vaccine Updates – Your veterinarian will recommend a schedule of how often your adult cat should be seen for regular checkups and booster shots. There are many services that a cat will receive that would not be appropriate for a dog. For example, cats require special vaccinations, like those for feline leukemia and feline distemper. An experienced cat clinic will understand the differences between the two types of animals and will be trained in how to perform services, such as spay and neuter or dental care, specifically for cats. Do you have a new kitten or does your cat need a checkup? We’re here for you and your pet. Book your appointment today at our Fremont cat hospital, call now at 510-662-1165.